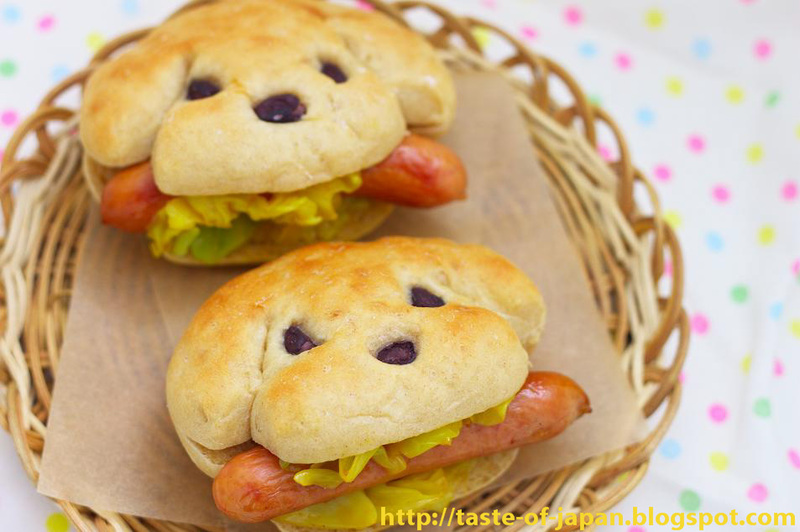 Spice Up Your Life With a Taste of Japan: HOT "DOGS"
Make the dough from your favorite bread recipe, using a bread maker. When it's done, push all the air out of the dough with your hands. Divide it into 10(if you make the dough with about 250g flour) and roll each into a ball. Cover with wet paper towels and rest for 15mins. Make each into a oval shape. Cut with a knife to make the ears of the dogs, and let the dough rise until about double in size. After the rise, make eyes and noses with black beans. Bake for about 10 mins at 400F. so cute... i will do this for my son's birthday next time. I am so doing this as soon as the girls get back from the grandparents! Your puppies are so adorable and clever. What a fantastic idea. I've pinned it and shared it with my Facebook friends. 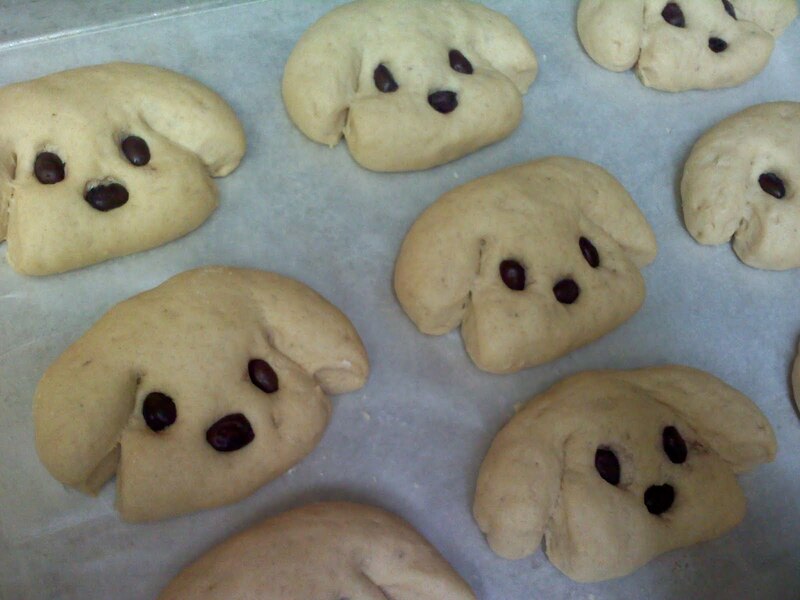 I can't wait to try making my own bread animals. All I am seeing is a picture. I'd love to make this but need to know specifics. Like: What ingredient is used to make eyes & nose? Can I use canned dough? Pizza dough? What kind of dough is used? Thank you for these answers!! Is that possible to have raisins instead black beans? I think it would work as well! Do you do commissioned work? I'm the managing editor for a Canadian media company. What is your contact info? Oh too cute Am doing this for my dog Party in November when Harley turns 1. She is a golden retriever and a service dog for my husband. wow , very interesting . © Spice Up Your Life With a Taste of Japan: HOT "DOGS"